Image of Pauline Bouve, from the Richmond Dispatch, 1/21/1903. Would it seem odd that a daughter of a Confederate general would write about… the children of the Mayflower? If you think so,well… that particular work was only near the end (1927) of a writing career in which Pauline Carrington Rust Bouve exhibited her love for New England’s rich culture. And… by the way… this beating happened almost four months before Preston Brooks caned Charles Sumner, but doesn’t quite make a blip on the radar. A few days later, Rust struck Greeley again on the streets of Washington. While Rust obviously felt slighted at Greeley’s portrayal of him as a Congressman and a gentleman, it’s not clear what Banks’ reaction was after having heard of the incidents. I need to get back to Pauline, so I’ll speed things up a bit. For those wanting more about this incident, take a look at The Life of Horace Greeley. Ultimately, Albert Rust did not go happily down the trail to secession. Though a supporter of Stephen A. Douglas in the presidential elections, like many other Southerners Rust appeared to shift in his position after Lincoln’s call for troops. He raised a regiment to serve in Virginia – the 3rd Arkansas Infantry – and became colonel of the same. Rust was appointed a brigadier general in March 1862 and served at a series of engagements ranging from Corinth, Mississippi in October 1862 to smaller engagements in Louisiana in 1864. However, he eventually lost his command over questions of his loyalty to the Confederate cause. Giving up active military service, he moved to Austin, Texas to be with the rest of his family. 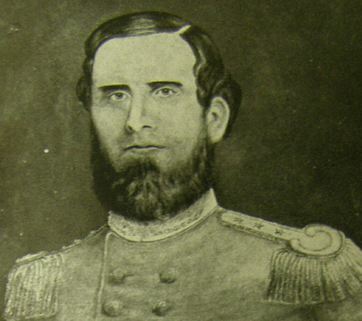 According to a biographical sketch of Gen. Rust, near the end of the war he became quite outspoken and bold critic of the Confederate government, expressing unionist sentiments (I told you there were Southern Unionist connections!). After the war, he returned to Arkansas and served in the U.S. House of Representatives and was even a Republican candidate for the U.S. Senate in 1869, before he withdrew his own name from candidacy. Quite suddenly, on April 3, 1870, Albert Rust died of an inflammation of the brain while his wife and children were away visiting family in Virginia. The general’s family did relocate to the Old Dominion… near the general’s surviving brother, Dr. George W. Rust, in Luray, Virginia. A little of the aroma of ante bellum fashions still clung to the little mountain-girl place when I was taken there, too. William Barbee, the sculptor, whose work very nearly ranked with that of Hiram Powers, was a native of this town. It is with pride that I remember that my first story, “Ole Miss,”” a tale that got me into a scrape with my father’s old Confederate officer friends, was written in the same small town… life in the little village that lay always shadowed by the sentinel mountain, had a somewhat sensive temperament; perhaps the fact that for generations my people had been more than ordinarily bookish people but any way, from the time when I used to make up plays for my dolls to act, and later for the school children to perform in the noon-hour recess – I wanted to try to write stories. Initially educated in the public school system in Luray, “Lena,” in all likelihood was tutored in private settings as well. She eventually taught a private school for girls in her mother’s home. That was about the year 1897. According to an article that appeared in the Page News (Luray, Va.) on June 30, 1903, having removed to Massachusetts about 1899, she married poet/author, Thomas Tracy Bouve (1875-1938), who, at the time, was a “young Harvard man, whose name is frequently found in the leading magazines as author of clever short stories and clever poems.” Thomas Bouve was also the son of Edward Tracy Bouve, formerly a major in the 4th Massachusetts Cavalry… and also, through his mother’s family, a distant cousin of President Abraham Lincoln via the early Lincoln families of the 17th century in Hingham, Massachusetts. Mrs. Bouve’s first story was ‘Cynthy.’ It tells the tale of a mulatto slave girl who fell in love with her masters’ son and killed him on his wedding day. Then came ‘Pilate’s Wife,’ a religious story, which received very favorable comment from Dr. Whittaker, head of the committee for the revision of the New Testament, not alone for its literary merit, but for its historical accuracy. Her first long poem, ‘Legend of the Luray Caverns,’ was written on the top of a band box when she was fifteen years old [and residing in Luray]. It was published in Philadelphia, and found a ready sale. …a series of historical sketches, which are shortly to be published in book form. She has written many short stories, children’s stories, poems, verse and essays. Several translations from the French have come from her pen, the most important of these being ‘La Toison d’Or,’ ‘The Golden Fleece,’ from the French of Amede Achard. She is soon to publish a new novel, Cups and Flagons, and a volume of poems called Legends of the Shenandoah. She has also in hand a play which will soon be completed, and which is already promised to a well known manager. … in her affirmations and her loyalty to her native State, she is thoroughly Southern, and her finest work has dealt with various phases of Southern life. It’s clear, through the words of her writings… the lady loved New England with a passion, but she didn’t forget her Southern roots, and she reflected on them in her writings as well. 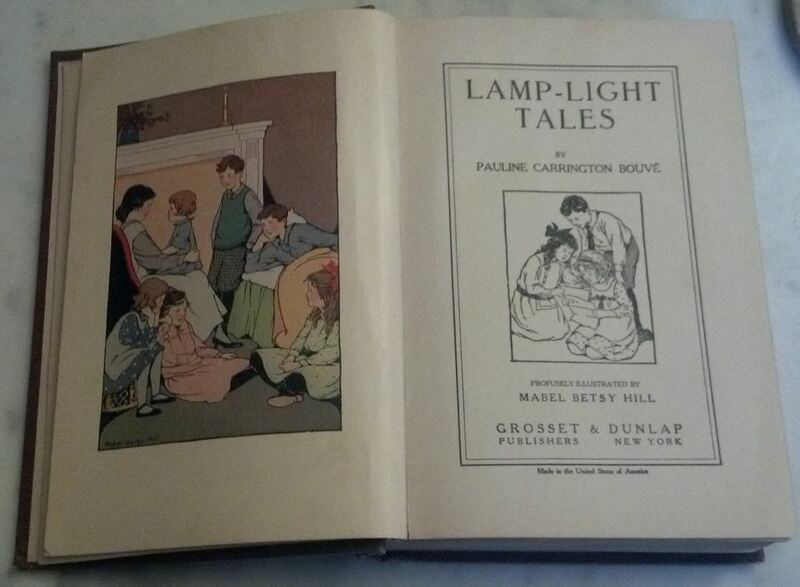 Other books published during her lifetime included American Heroes and Heroines (1905); Lamp-Light Days (1922); Lady Huntingdon and Dartmouth College (1922); Lamp-Light Tales (1922); Lamp-Light Fairy Tales and Other Stories (1923); and Tales of the Mayflower Children (1927). She also wrote extensively for a number of publications. Among some of her known articles were “An Aboriginal Author” (Boston Evening Transcript, 8/23/1899); “New Ipswich in New Hampshire” (New England Magazine, Vol. 22, Issue 1/March 1900); “The Shadow Baby” (New Idea Magazine, Christmas 1904); “Across the Sea at Winthrop” (New England Magazine, Nov. 1909); and the “The Date” (Snappy Stories, Dec. 1914). …picture of Southern life in 1830, and is full of dramatic interest, its motif being Nat Turner’s insurrection. Some critics have averred that this book will hold a higher place in the future in the literature of the war than even Uncle Tom’s Cabin will hold. Their Shadows Before had a great sale in London, and was translated into French. …wrote to the Luray Caverns management that she desired to write a book in which the cave would have a prominent place. They sent here a number of new views of the embellishment of her work. As far as is known . . . the book was never gotten ready for the press. She recently  wrote Mrs. H.R. McKay, of Luray, who has been in correspondence with her, that she would have two books ready for the printer this last year, one of them a work for children and the other Silhouettes of Virginia. The latter was largely based on the writer’s recollections of Luray. It is not known where these books are actually on the market.